What Japanese do on the Omisoka!? Omisoka is the last day of the year(New Year's eve) in Japanese. 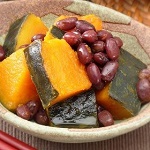 Its origin is Misoka which is the last of the month, Omisoka consist Misoka and "O" which means big. 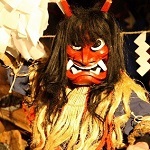 There are many customs for Omisoka in Japan, Toshikoshi-soba, Osouji, Toshinoyu and more. 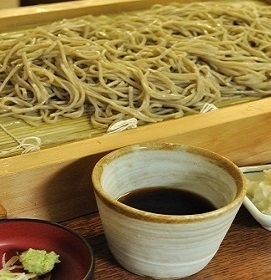 Toshikoshi-soba is a custom to eat soba noodle on Omisoka, soba noodle made from a buckwheat flour. It is said that Toshikoshi-soba started since Edo period(1603-1868). It means a wish for living long like a noodle and cutting run of bad luck because soba noodle breaks more easily than other noodles. In addition, it is said people who don't eat everything of it and leave it on one's plate will be unlucky with money in the next yaer. Because an artisan who beats gold into gold leaf use a buckwheat flour.for gather a piece of gold leaf in those days. On the other hand, people in some region eat udon noodle instead of soba noodle on Omisoka. It is believed that udon sounds like "un" which means luck or fortune in Japanese. Some people says an udon is more lucky than a soba since a soba is long and thin but an udon is long and thick. Toshinoyu is taking a bath in the night of Omisoka. It means cleansing the body before New Year day and eating lucky foods. Osoji which is cleaning the whole house is also means that. Cleaning on the New Year's Day means sweep out the dust with luck and fortune. In addition, It is also a custom of Omisoka that bells ringing out the old year called Joya-no-kane in almost all of the temples. It is struck one hundred and eight times because there are one hundred and eight Bonnou which is all human desires and passions that disturb human's mind. People get rid of Bonnou with hearing it before New Year's Day. The last bell is strucked on the New Year's Day with wishing people to live without Bonnou in the New Year. In the shinto shirine, the ceremony called Oharai is held for removing stains of a year. By the way, a music TV show "Kohaku Uta Gassen" by Japanese broadcater NHK is not a custom but a feature of the New Year's Eve. Most popular music artists of the year appear on this TV program. It received a high average viewer rating every year. If you travel Japan on the New Year's Eve, you can experience Japanese culture through soba, Joya-no-kane and more. 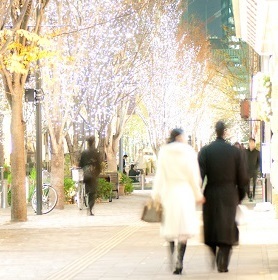 Note that many shops, restaurants and department stores close in the first three days of the year. Meiji shrine festival in spring and autumn!